And now, you can’t stop craving all of these foods. You are trying – but it ain’t so easy. So, what can you do about it? 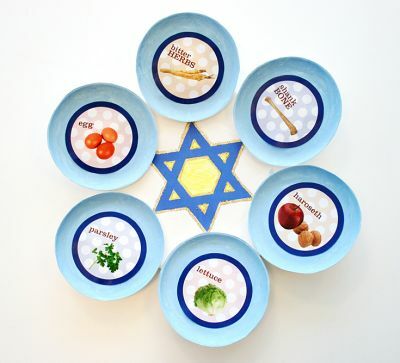 Here are 5 easy steps to get you off the Passover, Easter, birthday celebrations, every-excuse-to-eat-sugar roller coaster. Try this for one week! Start your day with water & lemon. 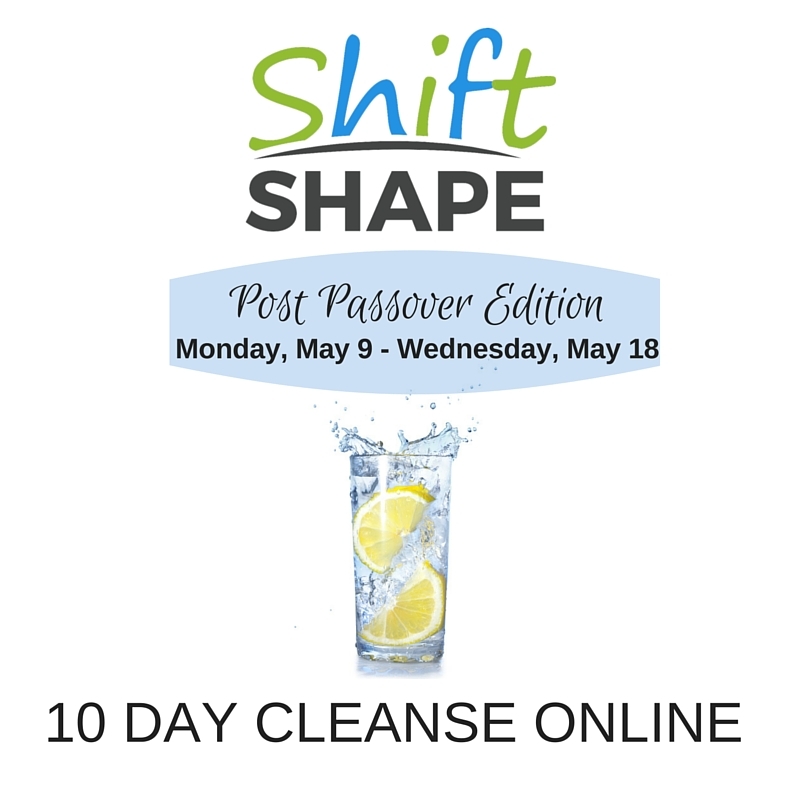 This will help to gently cleanse your liver and ease digestion. Drink tons of water (decaf herbal tea is also OK / coffee is NOT – sorry/not sorry). Try and replace one meal a day for one full week with a smoothie, ensuring that you include a protein and fat source such as hemp hearts, or an avocado and protein powder (I love Vega!). Remove white and processed foods from your diet. Ensure that you include lots of fresh fruits and vegetables, organic poultry and wild caught fish. Stay away from anything in a package. Walk. Then walk again. Then walk some more. Try and incorporate 30 minutes of exercise into your day. Instead of taking the elevator at work, use the stairs. Take a walk outside during your lunch hour. create awareness around foods that may not be serving you, and introduce mindfulness around foods that will make you feel more energized, less bloated and more alert. The best part is that you get to participate from the comfort of your own home, receive daily guidance from me, a qualified nutritionist, and enjoy the support and accountability of our amazing private facebook community. “I just wanted to update you that I’m so happy that I started this new food lifestyle with your cleanse. I’m probably 90/10 to this day & I’m feeling beyond great. It’s been so refreshing to make educated food choices & still feel totally satiated & fulfilled. I have a new found understanding & respect for organic foods which allows me to shop in a more knowledgeable fashion. I’ve recommended your services to many of my friends who could benefit greatly from your advice. I hope they contact you. Registration is now open. 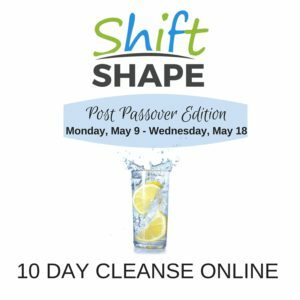 By request, the next ShiftShape 10 DAY ONLINE CLEANSE will begin after the Passover holidays on Monday, May 9th and run till Wednesday, May 18th. Join us. You will be so happy that you did.